Occassionally a case screw that fastens to the heat sink of the TS-440S will cross thread or bind when it is being inserted or removed. sheared off, return the unit to KENWOOD. 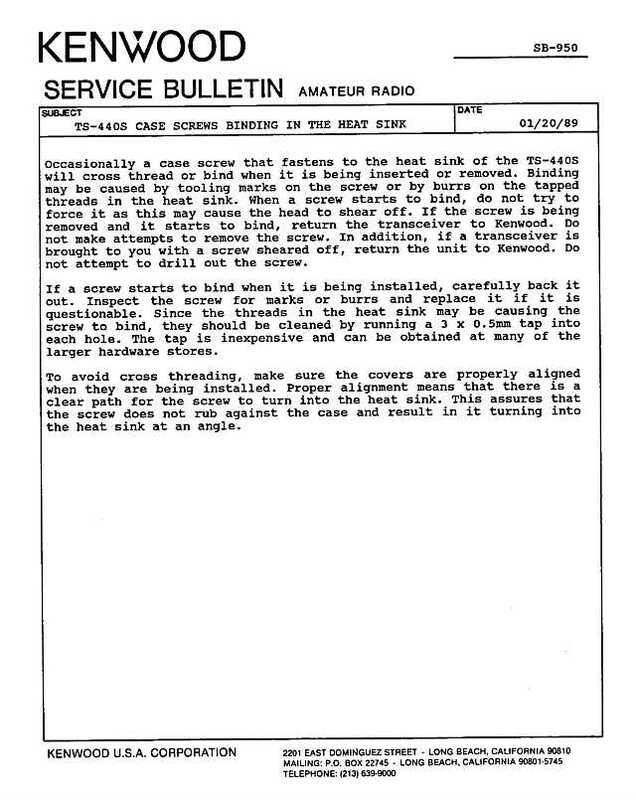 Do not attempt to drill out the screw. The tap is inexpensive and can be obtained at may of the larger hardware stores. is a clear path for the screw to turn into the heat sink. This assures that the screw does not rub against the case and result in it turning into the heat sink at an angle.